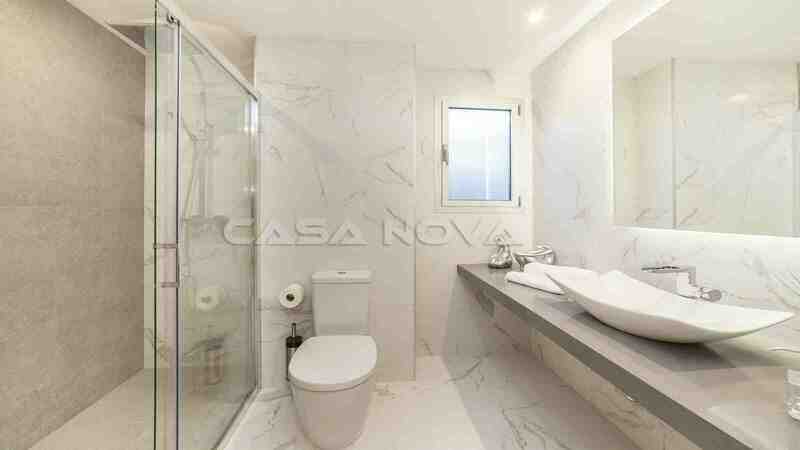 Real estate Mallorca: This popular new building apartment is located in a luxurious arrangement in Nova Santa Ponsa. Here will be used best quality materials by the constructor. The completion of the building project is planned for January 2019. 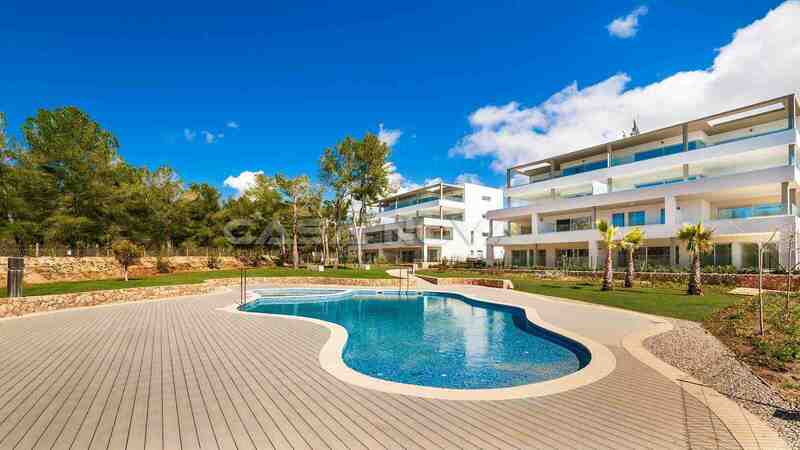 The modern apartment is located in the 2nd floor of a new exclusive arrangement in Santa Ponsa. 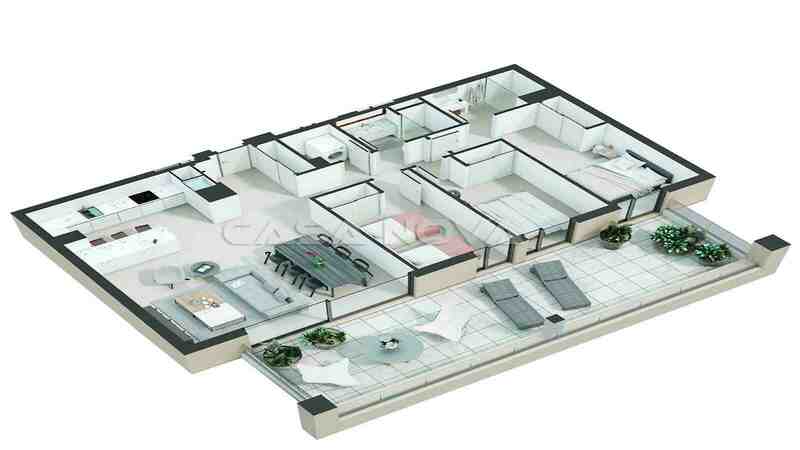 The real estate offers a living space of approx. 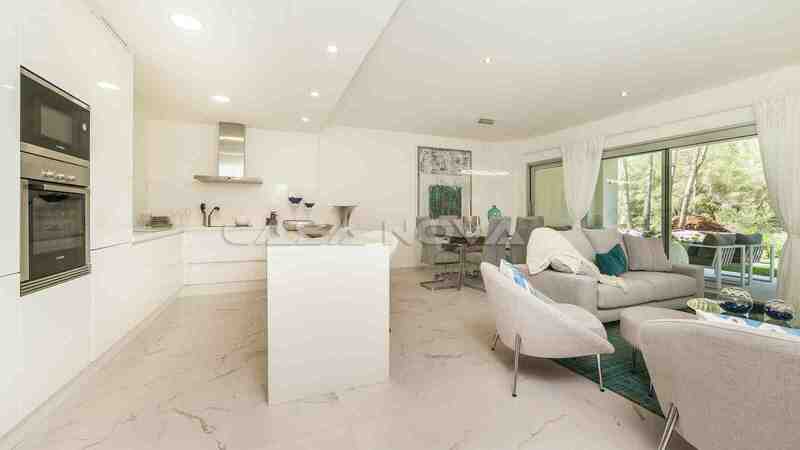 108 m2 and is split as followed: a spacious living and dining room, an open kitchen with house economic area, 3 bedrooms and 2 bathrooms, one of it en suite. 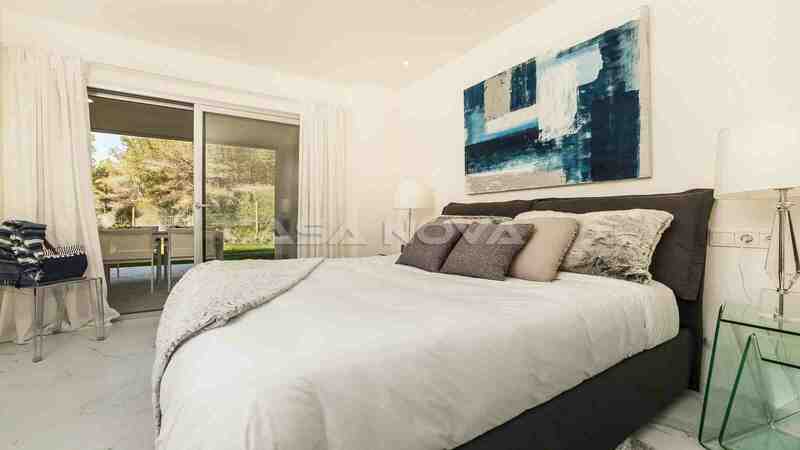 From the living and dining rooms as well as from the main bedroom you reach the partly open and roofed terrace of approx. 41 m2. 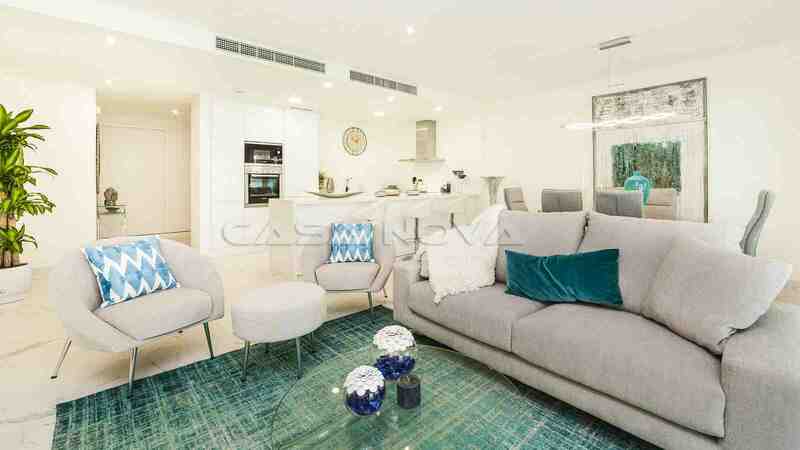 The apartment is equipped with air-conditioning warm/ cold, double glazed aluminum windows, under-floor heating over warm pump as well as fine stone tiled floor. 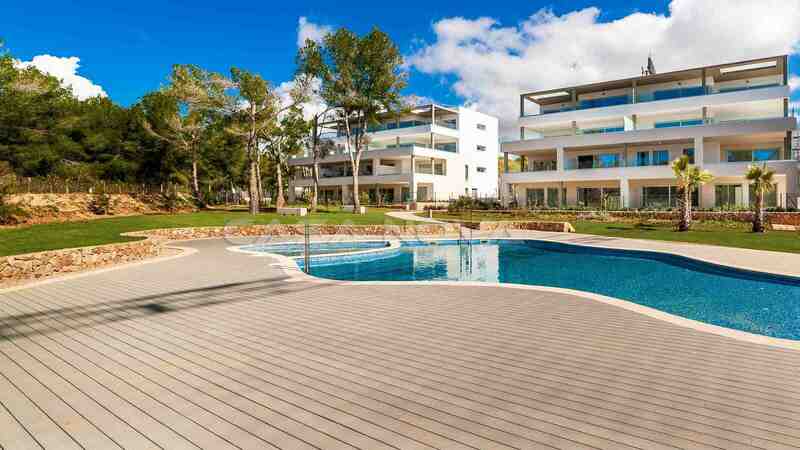 The exclusive arrangement offers 2 communal pools and cultivated invested gardens where you can enjoy the nice solar days on Mallorca. 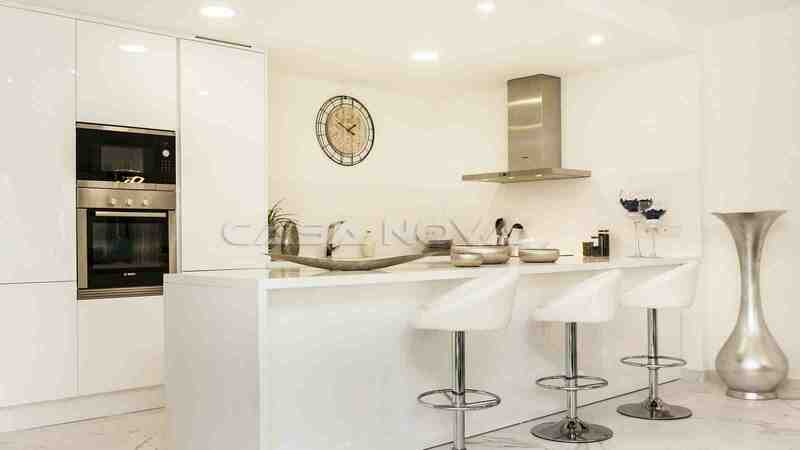 Included in the selling price is a garage parking lot as well as a storeroom. 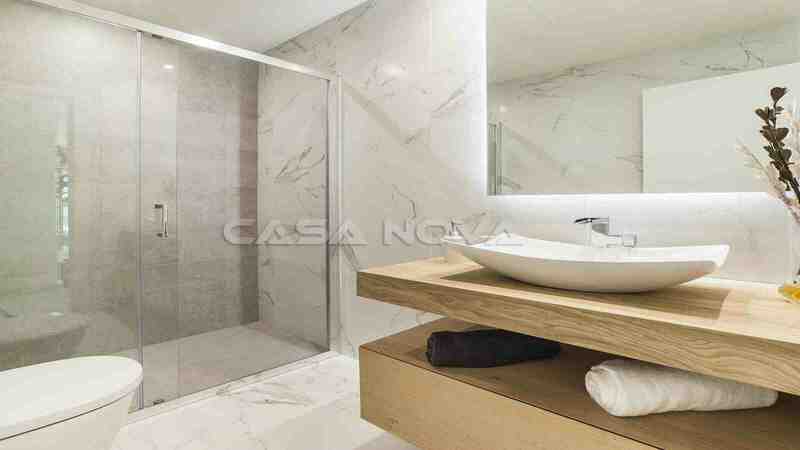 The construction is designed by a known developer who is very successful in Spain. 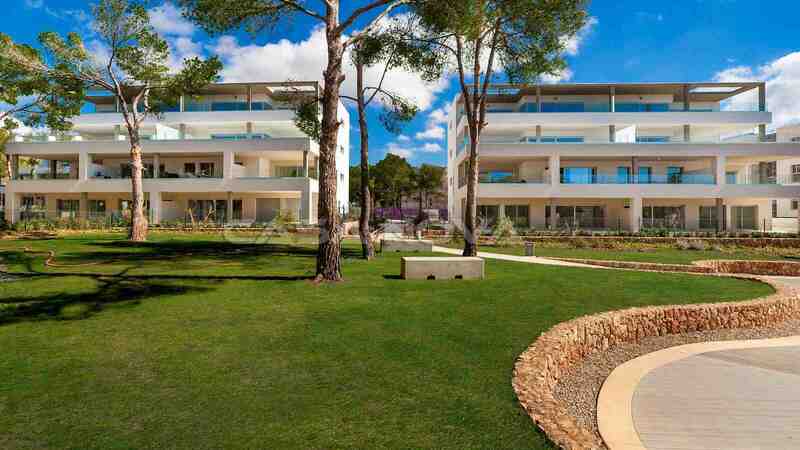 Santa Ponsa is a very popular place in the southwest of the island Mallorca. Here you have 3 high-class golf courses, modern yacht harbors as well as fine sandy beaches. All services which you could need in the everyday life like shops Restaurants, chemist shops or doctor centers are easy to reach. 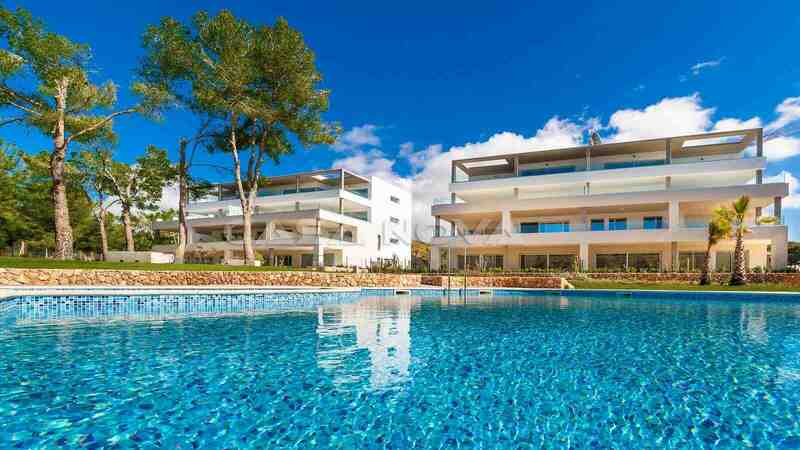 All year round Santa Ponsa offers a very good infrastructure. 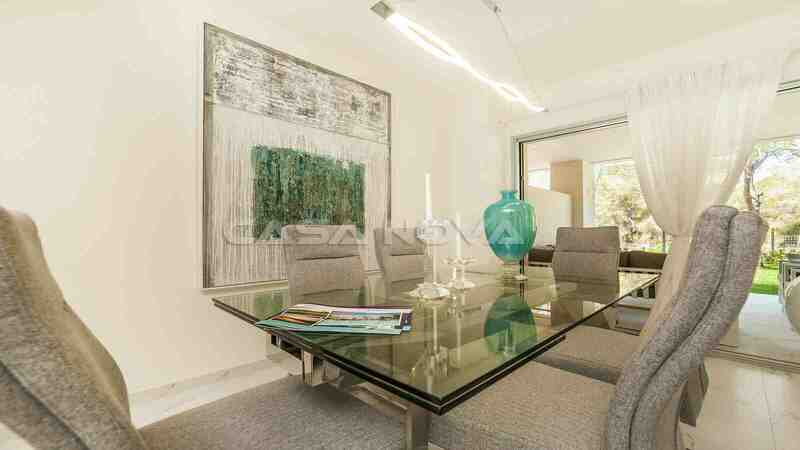 To the capital, Palma de Mallorca you will need approx. 20 minutes and to the international airport approx. 35 minutes. 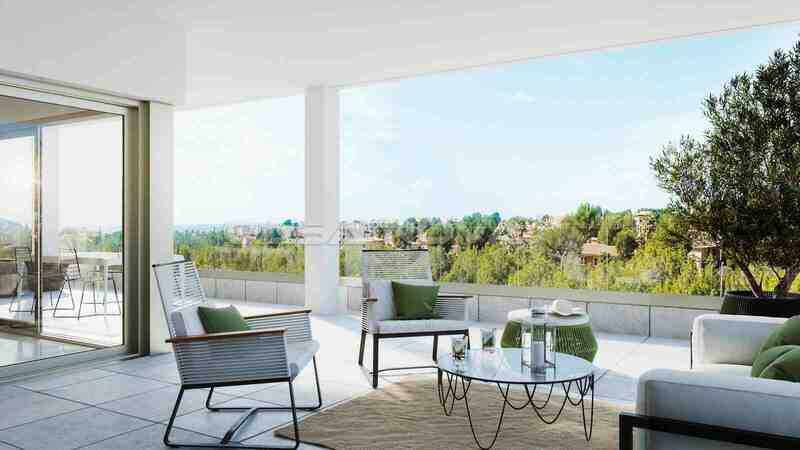 New building real estate Mallorca is a worth-containing investment in your future. 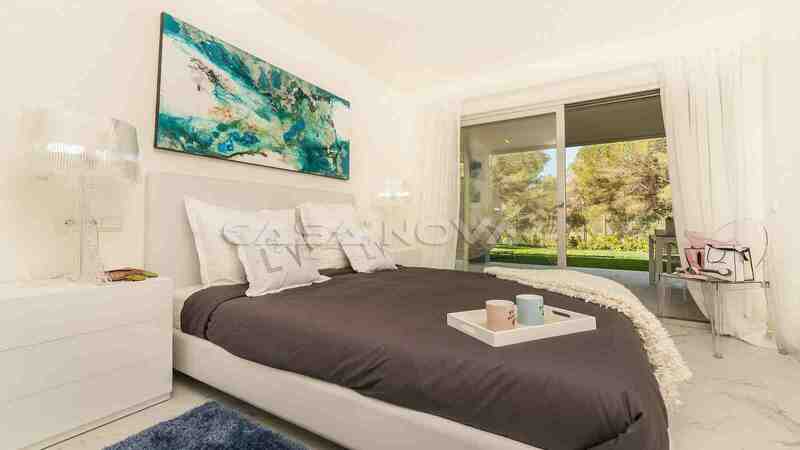 This flatlet is presented to you by your leading estate agent Majorca, Casa Nova Properties in Santa Ponsa. For the buyer originates no agency fee.